Action Mental Health has enlisted its first official walker for this year’s Belfast City Marathon. An employee within the charity, 34-year-old Emma McCabe (pictured here) from Belfast, recently took up the post as Employment Specialist with AMH’s Individual Placement Support Programme. 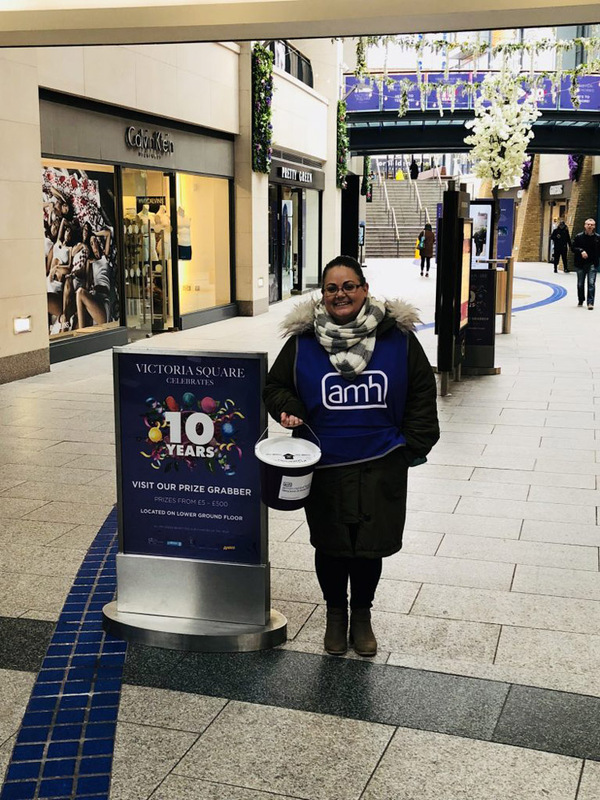 Emma has decided to walk for AMH to help raise awareness of mental ill health and will be joined by her brother-in-law, who will be walking for another charity close to his heart. Emma is no stranger to pounding the pavement, and as a member of #ParkWalk, regularly gets her walking gear for her nearby weekly Saturday morning park run. “I enjoy walking and see it as a way to keep healthy, not only physically, but mentally too,” she said. Her love of the activity has helped her lose weight and some day she hopes to run the Belfast City Marathon as part of a relay team. Previous fundraising efforts have included a 5k walk for Pieta House, the suicide and self-harm centre based in variations locations throughout the Republic of Ireland, for which Emma has walked for the past two years. Her training really got under way recently in rather exotic climes, when she visited family in Australia. She took the chance to flex her legs to gear up for the May event while escaping the recent snowy weather courtesy of the Beast from the East. Now she’s back at home, her faithful dog Milo keeps her to her training schedule, which is also livened up fitness dance sessions. Emma commented on her reasons for choosing her charity employer to run for. Emma aims to raise £25 for every mile walked, which would bring her up to her target of £200. Action Mental Health’s Events Officer Callum Clark is delighted to welcome Emma into the growing stable of fundraisers. People like her raise much needed funds to help the charity provide services for people of all ages living with a range of mental health issues as well as promoting positive mental health across Northern Ireland. If you have been inspired by Emma’s story, why not sign up for the Belfast City Marathon to run, walk or relay on behalf of Action Mental Health.